The etymology of a potato latke. As I write up this post, it’s the fourth day of Hanukkah. I thought it was a fitting time to share a special Hanukkah recipe with y’all! 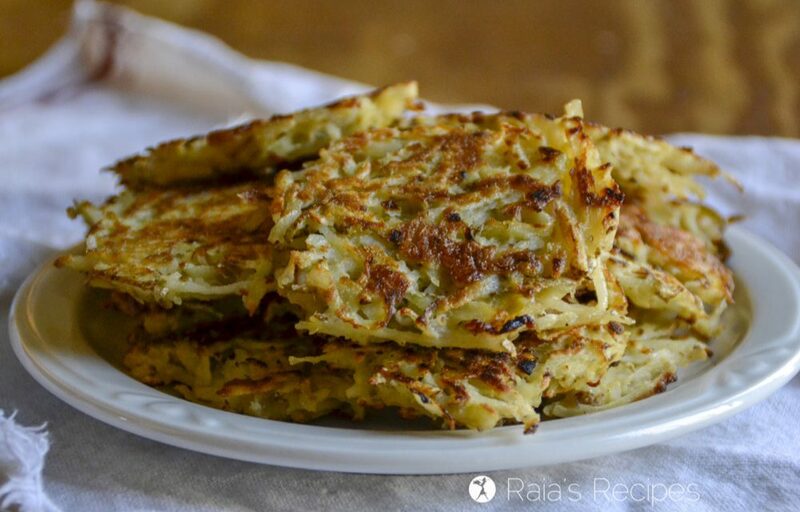 Latkes, or latkas, are potato pancakes that Jewish people have eaten during Hanukkah since the mid-1800s, and are based on an older version of the dish that goes back all the way to the Middle Ages! 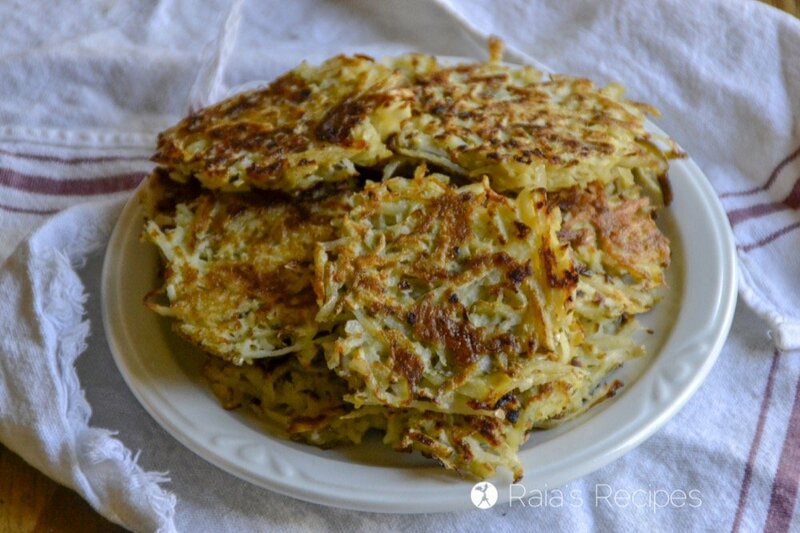 Latkes, along with other fried foods, are special to Hanukkah, as the use of oil for frying reminds Jews of the miracle of the oil for the menorah. Though there was only enough holy oil for the menorah to burn for one day, to the Jew’s amazement, the oil lasted for eight days! Long enough for more oil to be made during the restoration and rededication of the Temple in 160 BC. 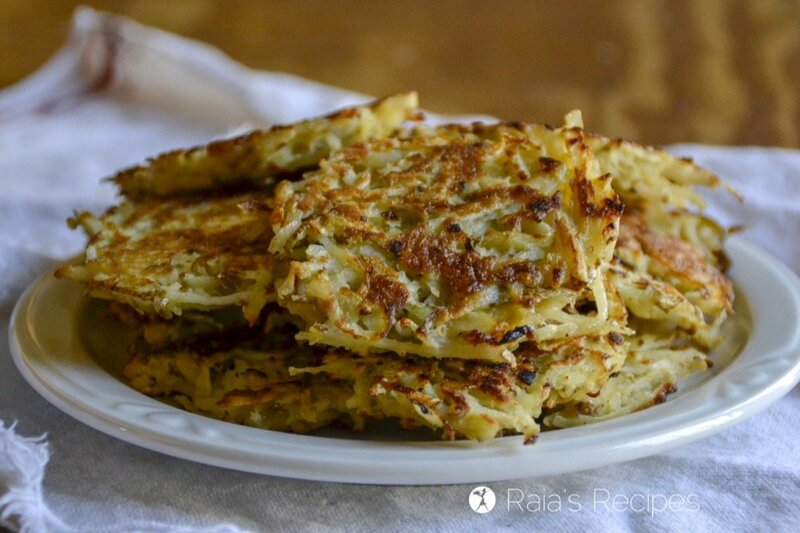 While most people make latkes from potatoes, they can be made from a variety of other vegetables, and even cheeses and legumes, though I’ve never tried any made that way myself. Other popular varieties I’ve seen are sweet potatoes, butternut squash, carrots, and cauliflower. My family has been celebrating Hanukkah for 5 years now. You think I’d already have a latke recipe up here, wouldn’t you? But no, I like to make them differently every year, so I’ve never really decided which recipe I should put up! This year, though, I knew I had to share. 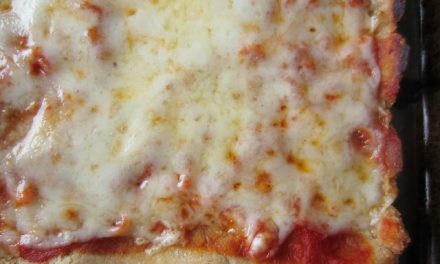 Most of my other recipes have been only gluten-free, which is fine, of course. But this year I’m completely grain-free as well, so I needed something new. 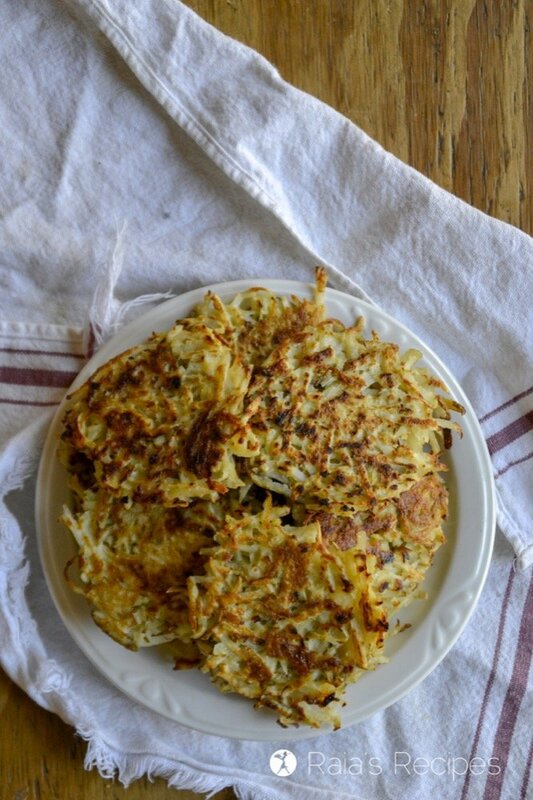 And these grain-free potato latkes came out perfectly! I even was able to sneak in some onion and garlic, for a little added nutrition and savory goodness. My family was none-the-wiser. 😉 #momwin! Potatoes on the GAPS Diet? If you’re a regular over here, you probably know that I’ve been on the GAPS diet for the past almost year. And if you know anything about GAPS, potatoes of any kind are a no no. Except when you’re pregnant! With little one #6 on his/her way, I was grateful to read in the GAPS Diet book that during pregnancy potatoes and sourdough are allowed, as long as there’s no reaction. So I’ve been slowly added both those delicious and nutritious foods back into my diet. I’m glad for the extra calories, and especially glad that they’re both fairly cheap things to add in, as well. When I added in potatoes, I was a little nervous. Before the GAPS Diet, I had always had a very low tolerance for potatoes. I could handle a few chips or potato soup every now and again, but potatoes were definitely something I had to keep to a minimum, with my indulgences few and very far between. So I usually saved up my potato time for special things like Chick-fil-A fries… ’cause they’re the healthiest way to binge, right? Thankfully, over the past few weeks, I’ve been able to handle potatoes once or twice a week! That’s a big step for me – and I’m SO excited to have them back! 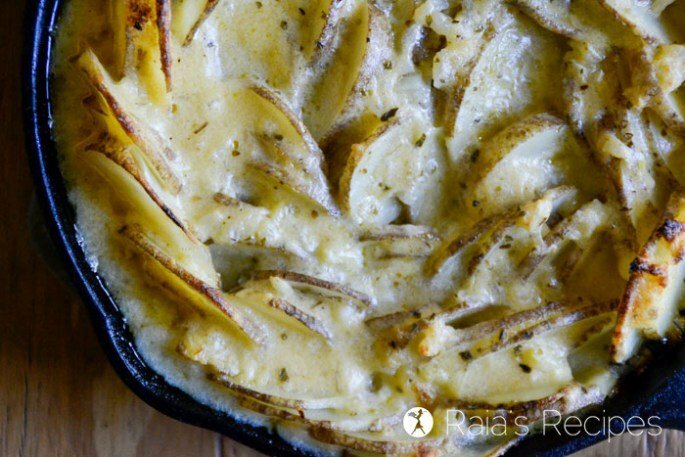 Besides being cheap and tasty, potatoes are actually good for you! 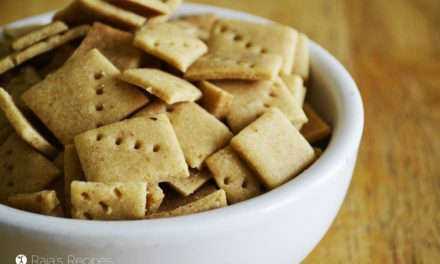 They’re a wonderful source of vitamin B6, potassium (even more than bananas! ), as well as copper, vitamin C, manganese, phosphorus, fiber, and vitamin B3. 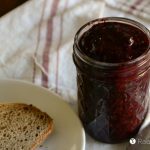 All nutrients that are needed – whether you’re a pregnant momma or not! 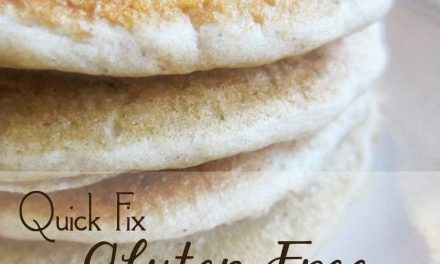 Free of grain, gluten, dairy, and sugar. Preheat a large skillet over medium heat. I always use my cast iron skillet, but any type will work. 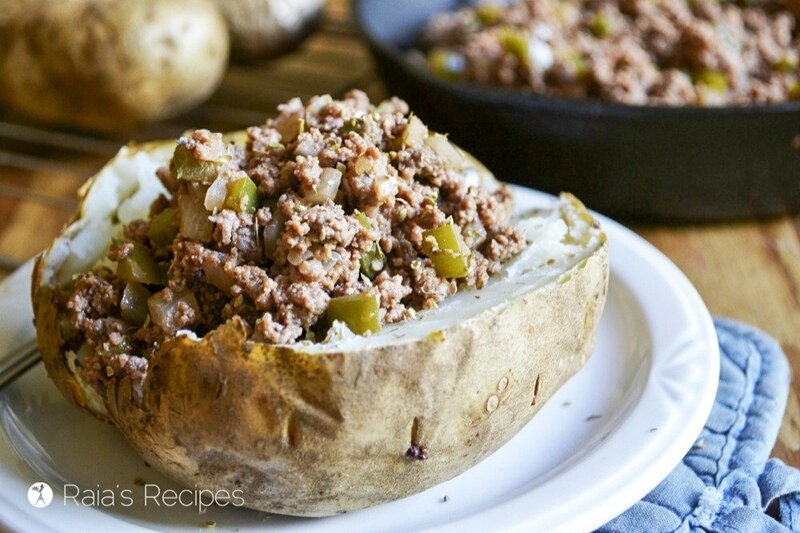 Grate potatoes and place in a bowl. With your hands, squeeze out the water from the potatoes. 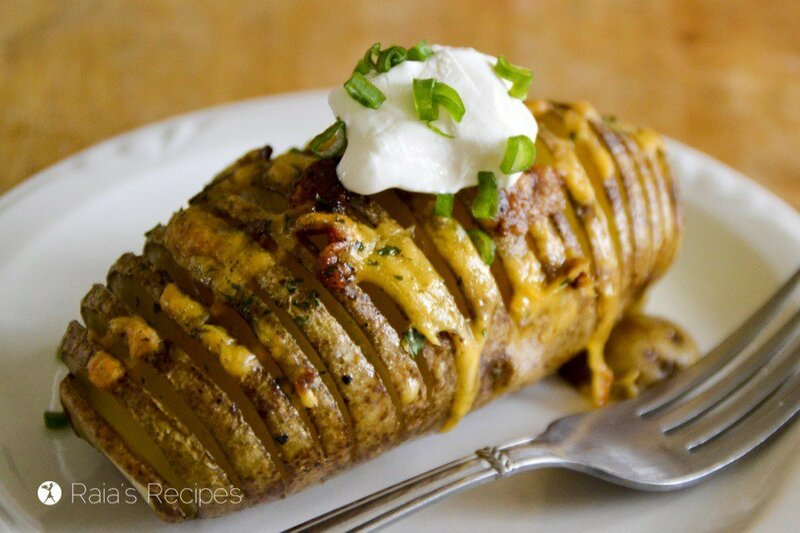 Place squeeze-dried potatoes in a separate bowl. Melt a tablespoon of fat in the hot skillet. I use tallow, avocado, or coconut oils. You could use butter, if you can handle dairy. Fry heaping spoonfuls of potato batter, shaping into a rough circle and flatting until about the thickness of a pancake. 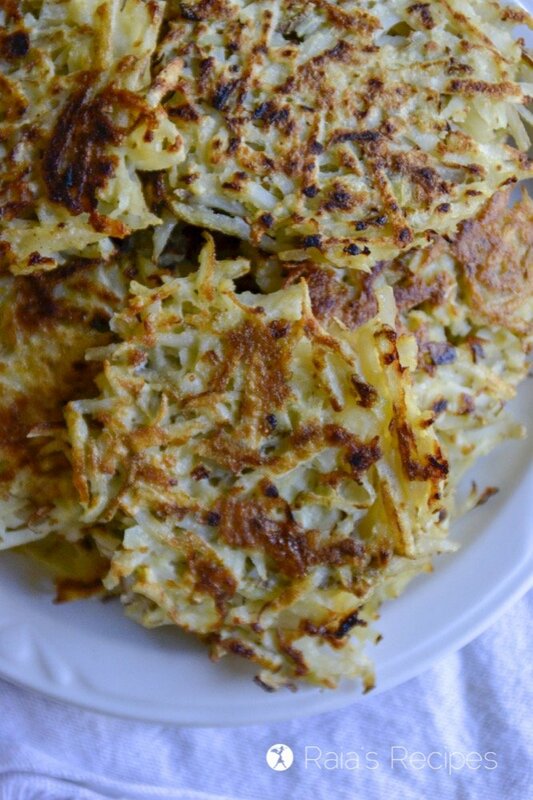 Cook for a bout 3-4 for minutes on each side, depending on the thickness of your latkes, and of your potato shreds. 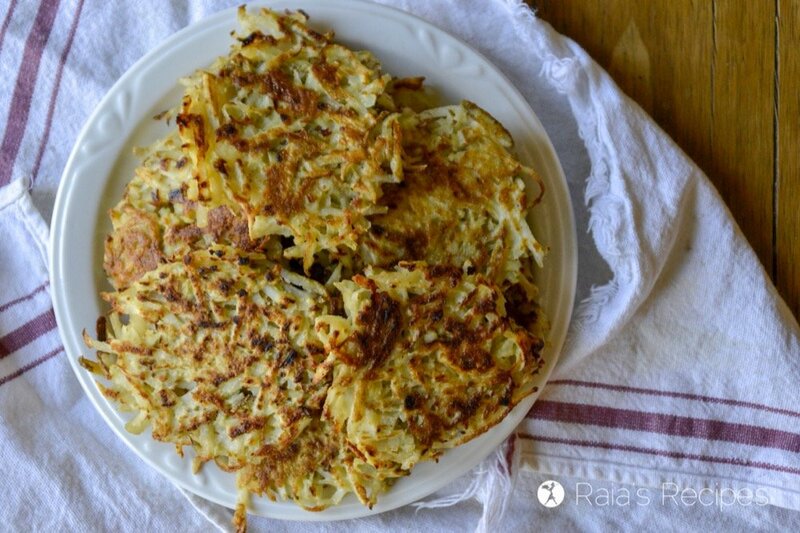 Looking for more delicious Hanukkah recipes? 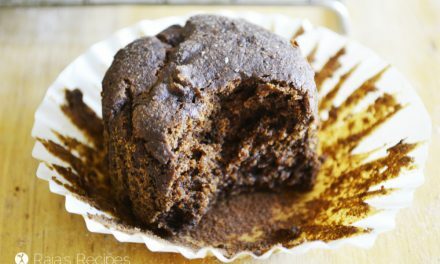 Check out my round-up of amazing paleo Hanukkah recipes, here. These look delicious! 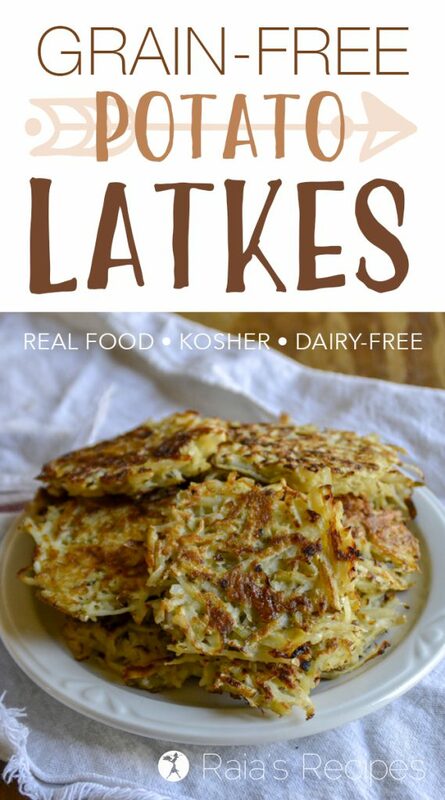 I have never had a potato latke before and I definitely want to make some!